Two universities have joined forces to launch a scheme to help businesses boost the skills of employees. 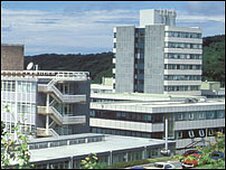 The Aber-Bangor Skills Centre - set up by Aberystwyth and Bangor universities - aims to address a so-called "higher-level" skills gap. They also hope to strengthen links with business communities in both regions. The scheme has received £400,000 from Higher Education Funding Council for Wales, and was launched by deputy minister for skills John Griffiths. Mr Griffiths said: "This 'friendly front door' will open up what is sometimes described as the best kept secret of higher education. "That is, that universities are not just concerned with the provision of education to the traditional 18-year-old full-time undergraduate, but are also major players in providing training courses for employers and individuals requiring upskilling." Pro-vice chancellor of Aberystwyth University Dr John Harries said the centre would provide an "excellent opportunity" to link employers to the "expertise that resides within our university departments".